Tesla announced a new chairwoman to replace Elon Musk in a settlement with the SEC. Harley-Davidson commits to building its electric Livewire motorcycle. Nissan shows off a rescue truck with two Nissan Leaf batteries for backup power. And we consider the Tesla Model 3 as a contender for our 2019 Best Car To Buy award. All this and more on Green Car Reports. Tesla named Robyn Denholm, one of its two current independent directors, as its new chairwoman. She replaces Elon Musk, who had to step aside following an SEC settlement over a tweet he made in August. Musk will remain as chief executive officer. Four years after taking a concept electric motorcycle on tour, Harley-Davidson announced it will build the motorcycle it calls Livewire next year. Backup batteries can be just the thing for emergency rescue operations, and that’s that Nissan built, albeit still diesel-powered, to show at the São Paulo Motor Show. The Frontier Sentinel uses two Nissan Leaf batteries in the bed to provide at least a day’s worth of auxiliary power to homes or businesses that have been cut off. After missing out last year because of the car’s slow ramp-up, the Tesla Model 3 makes our list of contenders for our Best Car To Buy competition for 2019. 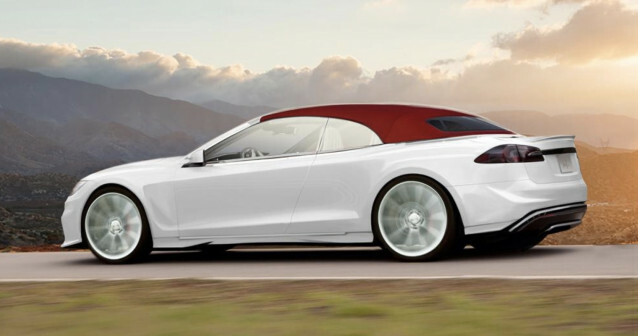 Italian boutique coachbuilder Ares plans to build a roadster based on the Tesla Model S. Unlike earlier four-door chop-top versions of the Model S, Ares’ version looks like a sleek two-door coupe. Finally, following in GM’s footsteps with its new bike, Ford bought electric-scooter sharing business Spin, to help ride-sharing commuters get the last mile or two to their destinations.